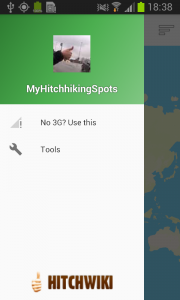 “Sometimes we hitchhikers find ourselves planning a hitchhiking trip to somewhere where we’ve hitchhiked before. Quite often we want to remember where was it that we stood at trying to get a lift, but we’ve done it so long ago that we can’t remember anymore. Or maybe we were hitchhiking through a new route in a new country, and we got dropped off in so many places that we can’t manage to remember or to point in a map each one of them. 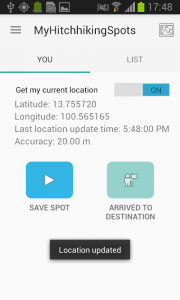 And you might feel like sharing this information with your friends, but your memory fails. 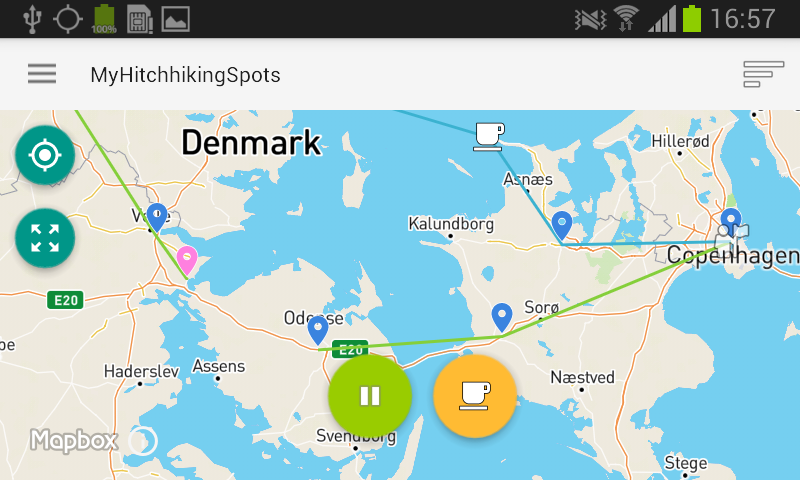 With MyHitchhikingSpots you can see all the places you’ve hitchhiked, some additional notes you’ve written about them and even how long you’ve been waiting in each of those spots. 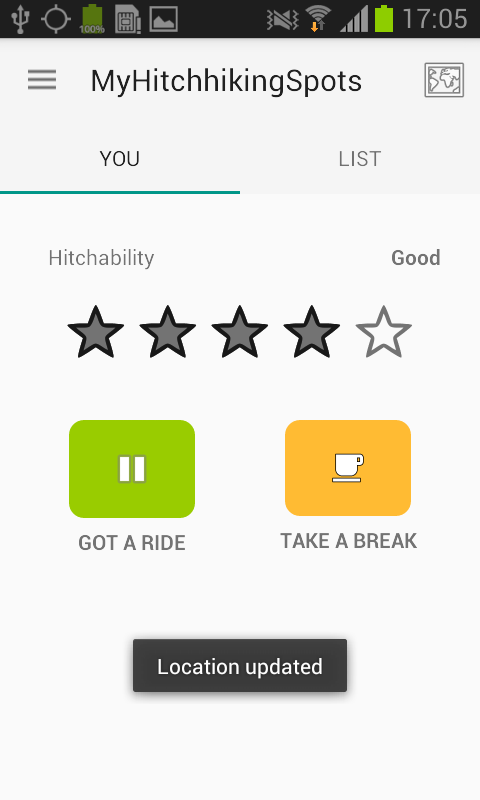 You just need to push a single button when you’re at the spot where you’re gonna start hitchhiking, and once you get into a vehicle you push another button to inform the app that you’ve gotten your ride. 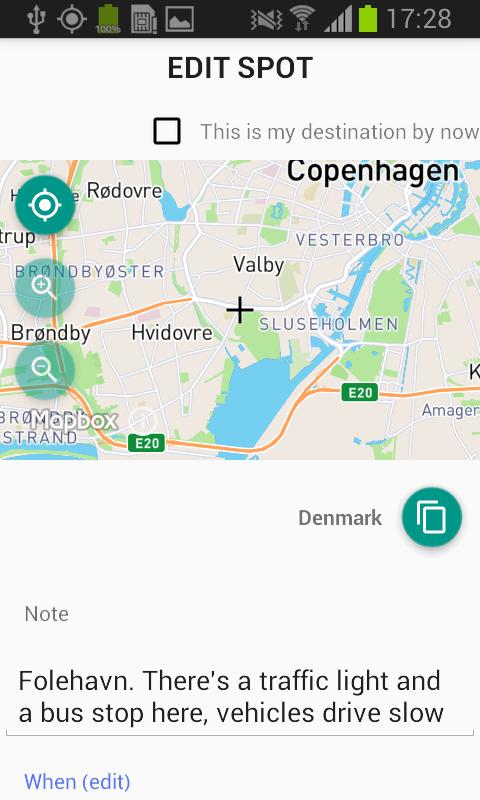 By the end of your trip, you’ll see a list with all the information you’ve saved. Thanks Leo for your time, text and effort! Good work…! 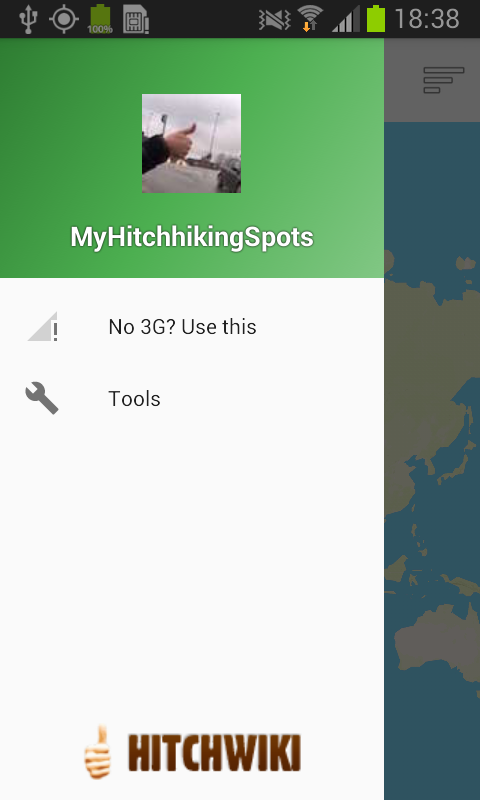 Help Hitchwiki and the Hitchhiking community: The app is available in English, Portuguese and German. if you want to collaborate and help to translate into Danish, get in touch with Leo, the Developer from Hitchwiki. 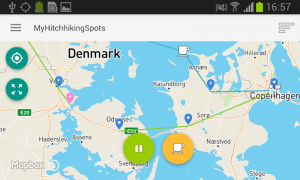 Send Leo a message on his Facebookpage ‘Hitchhiking Leo Carona’. Blue pin: places where the user hitchhiked and got a ride. 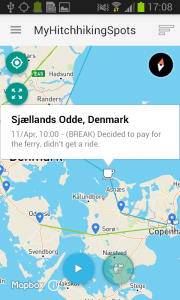 Man holding a flag: that’s the destination of that trip. 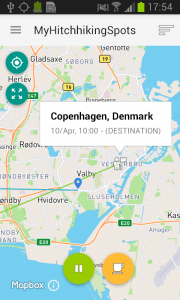 In the case of the screenshots, the user started hitchhiking in Odense and his/her first destination was Copenhagen. 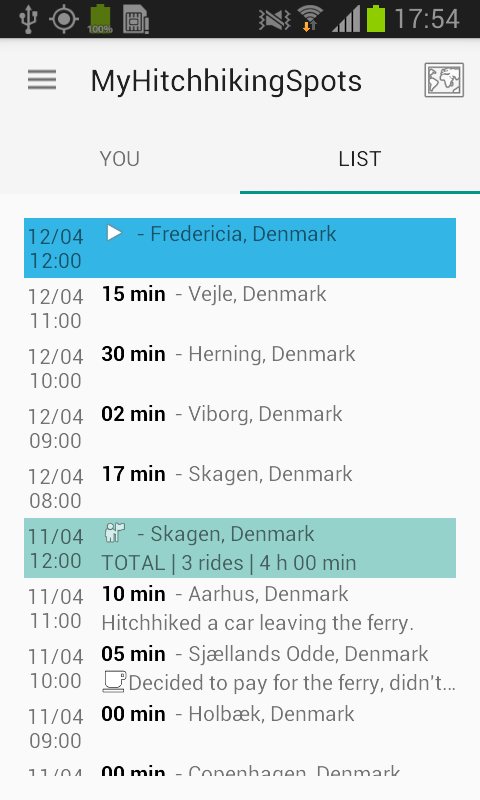 The second day hitchhiking he went to Skagen. The pink pin: that’s where the user is currently hitchhiking and waiting to get picked up. 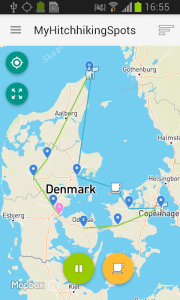 In the case of the route shown in the screenshots, the user is coming from Skagen.